Like the difference between a cheap vacuum cleaner and a Dyson! Oskia's Micro-Exfoliating Balm not only exfoliates gently and evenly, it conditions to leave your skin feeling silky smooth yet comfortable. 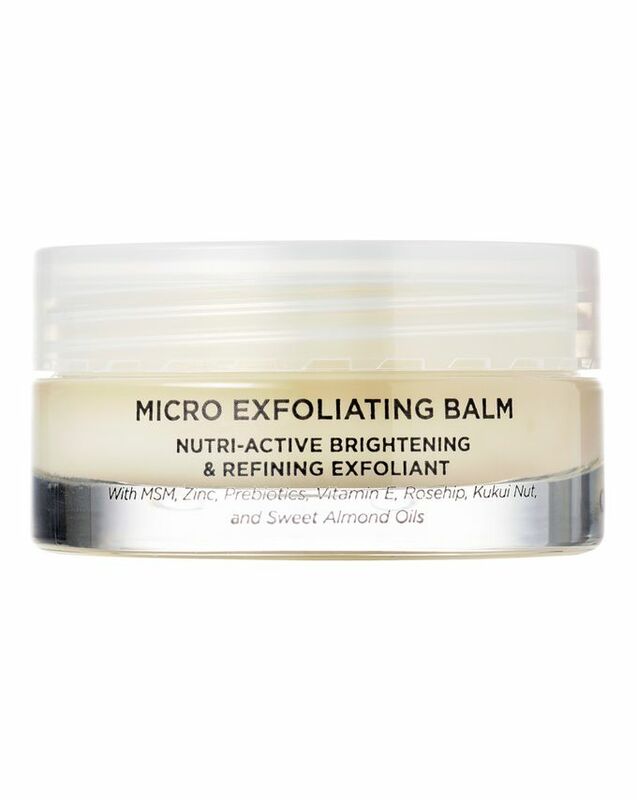 A rich, soothing paste with tiny grains of MSM and silica, this gently polishes the skin's surface without any scrubbing or abrasive chemicals. Perfect for dry, dehydrated or dull complexions, the gorgeous pot resurfaces, plumps and brightens so skin begins to look younger, with a luminous, lit-from-within lustre. This gentle, skin-refining polish contains ultra-fine micro-particles, to buff skin and banish surface debris without ruffling your skin's feathers. Pure MSM granules (Oskia's star ingredient) work to unclog pores and lift tired cells, then dissolve on contact with water to nourish skin and leave it feeling velvety soft and smooth. A zinc-glycine complex helps soothe irritation and promote healing, while prebiotic oligosaccharide prevents the growth of harmful bacteria to ward off future breakouts. This is perfect for dry, dehydrated or dull skin types, helping to minimise pores and even out skin's tone. I use this product twice a week. It's more gentle than many other physical exfoliators, but you should massage it into skin with a very light hand, otherwise it may irritate skin. I rinse it off with a cloth, because without a cloth it's harder to remove. I'm not sure about plumping or brightening, but it resurfaces skin well. Normally I hate manual scrubs and exfoliants as my skin is far too delicate and sensitive and will always break out after using. I got this free when I spent a certain amount on Oskia a little while ago. The first couple of times I used it, it was too scrubby and sort of made my skin red and irritated, so I didn't use it for a month or so. I have now found a way to incorporate it into my regime without over-stimulating or irritating my skin (hoorah! ), as I would not sell it nor did I want it to go waste. Experimentation is key in my life. I use the tiiiiiiiniest blob on the spatula (supplied with product) and massage it VERY lightly and gently on my t-zone area only (more prone to any kind of congestion and oiliness here). I will remove it with warm water and pat dry. I need to use this about once/twice a month maximum and only in the evenings, mainly in and around my monthly cycle when my skin is like, super rebellious. I follow up with my usual regime and my skin is less congested and oily the following morning and smoother. I'm giving 4 stars, as it cannot be used all over my face (personally) and so I would not spend the money on it. I use this as part of a home facial routine along with other Oskia products and absolutely love it. It smooths my skin beautifully, worth the money. Unfortunately I wasn't a fan of this product. Even though the granules may be small, they still aggravate my sensitive skin even mixed with water. Hours after cleansing my skin still looks and feels irritated. I am also not a fan of the smell as to me, it smells of chemicals. Much prefer the cleansing balm by Omorovicza. I gave it an extra star because my skin is very sensitive and gets red really easily, so it is probably more my skins fault than the product. It exfoliates well without leaving skin dry and has a lovely mint smell. I could visibly see a significant reduce of pores on my face! And I received this free when I bought the Restoration Oil, no complaints here. I have very sensitive skin and therefore usually avoid manual exfoliants. This is the first one I've ever used that has not made my skin irritated, red, or itchy. It polishes gently, and left my skin feeling like a baby's! No discernible fragrance either. A fantastic product. I must be honest, I am not really a lover of manual exfoliating. This beautiful balm, however, really surprised me. The texture on the skin is not so gritty it will irritate or cause damage. It is gentle, and after adding a tiny bit of water to my fingertips it emulsifies and turns silky soft. My skin looks bright and feels amazing after using this. I can't stand not using these product. They put everything else to shame. I love the exfoliating Scrub. I love this product it is my favourite of Oskia's and I use it everyday, my skin feels and looks fab. Love Oskia and this balm is no exception. Makes skin smooth and radiant, on my third jar now. I liked this scrub and found it to be very effective. 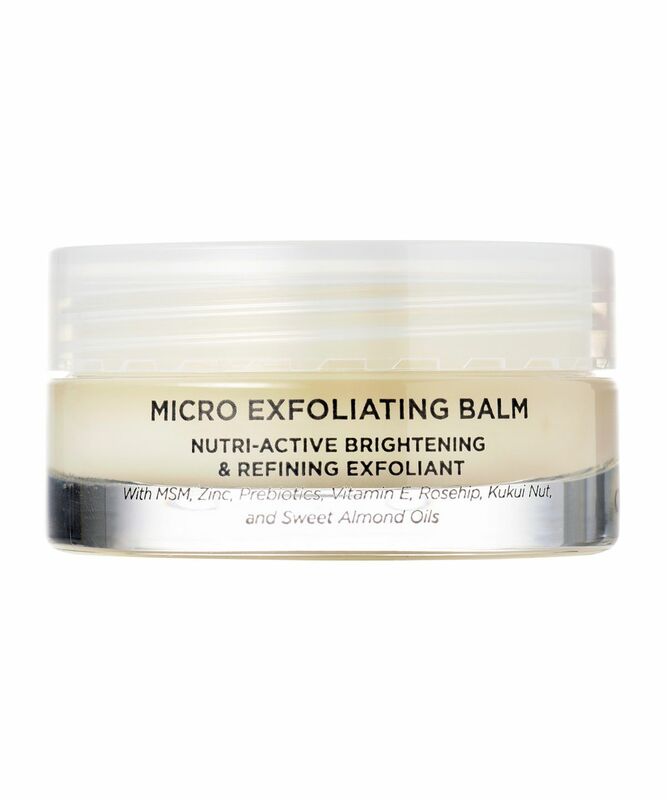 However it is quite a 'robust' scrub so I used it maximum once per week, following which my skin looked clear and scrubbed clean, but definitely a little tender. Perfect prep for a mask or a lovely face oil, but a little rough for frequent use. I don't have sensitive skin. I was disappointed with this product after reading all the great reviews. This product makes my skin feel great immediately after I use it but I find that it actually makes my skin worse later in the day and the following day and my pores appear more blocked than before. I have tried to vary the level of exfoliation by only using once a week and making it with more water so that it emulsifies but it unfortunately hasn't done the trick for me. I think it would suit more mature and less oily complexions. I prefer the Aesop exfoliant for my combination oily skin. I have tried and wasted money and products trying to find the perfect facial exfoliator, well this is absolute perfection. My skin is left feeling like velvet. It rinses off easily and all you are left with is moisturized skin. I wash my face and then pat dry and apply this. Add a touch of water and it turns into a milky liquid. It is worth every penny. I've noticed that my skin is more balanced in regards to oiliness and pores are much less noticeable. I love this! It has small grains that help gently (but effectively) exfoliate your face leaving your face so smooth and not raw at all. My skin doesn't feel tight afterwards and I feel like it reduces the appearance of my pores. love that it turns milky when u add water - makes it easier to wash off. I got this product as a part of Caroline Hirons beauty box and I'll probably be repurchasing when it's finished.